For Christians, Shrove Tuesday is a traditional day given to self-examination and seeking absolution for wrongdoing. The day is also known as Fat Tuesday – or Mardi Gras – the last day to indulge in rich foods such as butter, eggs and sugar, before beginning forty days of Lenten fasting. A pancake feast is the custom for many. If pancakes aren’t enough for a last-day blowout, then take to the streets and join the Mardi Gras or Carnival celebrations. Which brings us to Professor Longhair. Roy Byrd, born in 1918, grew up on the streets of New Orleans. He progressed from tap dancing for tips on Bourbon Streets and gambling with card games, to becoming a piano legend, revered long past his death in 1980. Fats Domino, Huey “Piano” Smith, Allen Toussaint, Dr. John, Marcia Ball and many others paid homage to Professor Longhair – nicknamed for his shaggy mane – as their inspiration and whom they did and still do try to imitate. Having lately emigrated from northern California, I still keep up on the news from my previous home. Other parts of the country, or even other parts of northern California, deal with raucous town hall meetings or rioting in the streets over speakers invited onto campus. Sonoma County, by contrast, is mired in controversy over Superior Court Judge Elliot Daum’s artistic – or political – expression. After the recent peaceful transfer of power with the inauguration of a new president, Judge Daum removed the portrait of Barack Obama from his courtroom. The space previously reserved for the president’s image now displays a single piece of fruit, an orange. 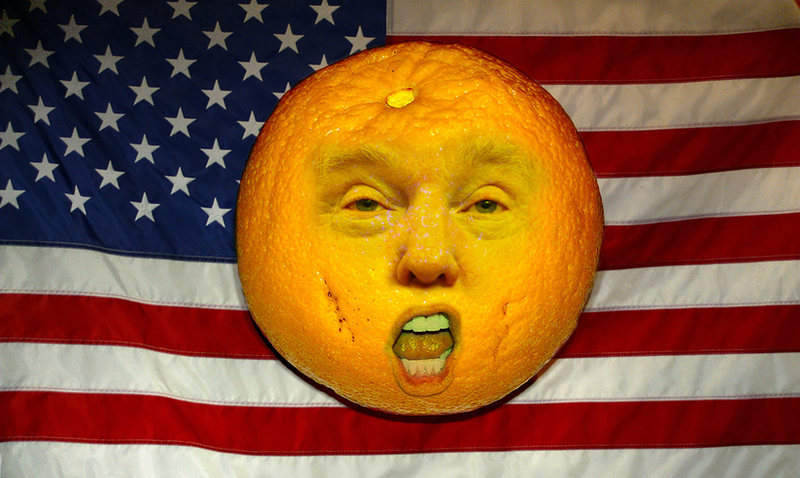 A real orange. Local Republicans and some lawyers have criticized the judge’s allegedly expressing political opinions in court and showing disrespect for the president. Judge Daum so far has made no public comment on the matter. Posted byGeorge Rothert February 27, 2017 February 26, 2017 Posted inFunny Stuff, Places, PoliticsTags: Donald Trump, Judge Daum, Sonoma1 Comment on Orange You Glad…. 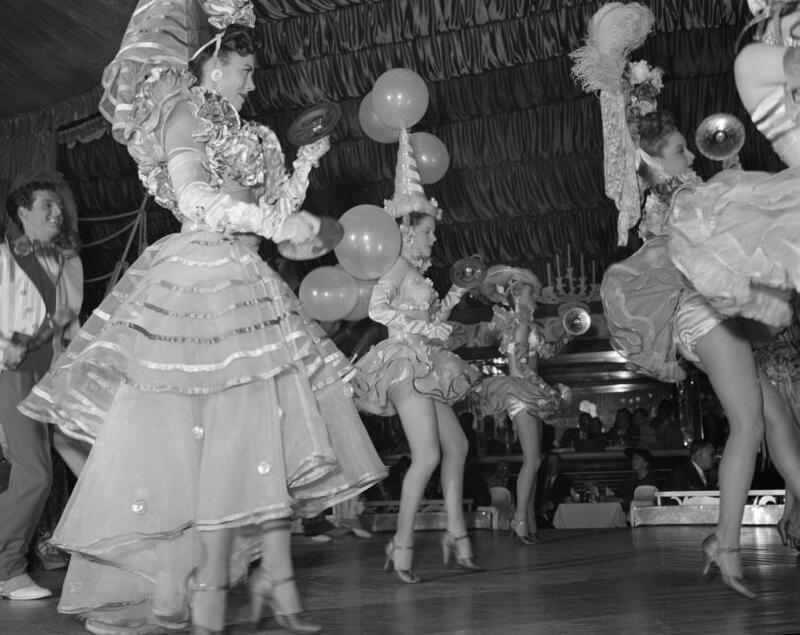 To get in the mood for Hollywood’s annual bacchanal of self-congratulation, have a look at the opening of the 25th Academy Awards ceremony in 1953 – the first to be televised. Lots of jokes about that new curiosity taking up space in living rooms – television. Our new administration has pledged that everything it does will be to make America number one. For some reason that doesn’t seem to be working in the category of tourist destinations. Only a month after the inauguration, foreign tourism in the United States is down 6.8%. And it’s probably going to get worse. Internet searches for flights to the U.S from locations outside our country are down 17%. This translates to many billions of dollars that will not be spent here. New York City alone takes in $60 billion annually from tourists. Business travel in the U.S. declined $185 million in the first week after the Executive Order was issued banning travel from seven countries. 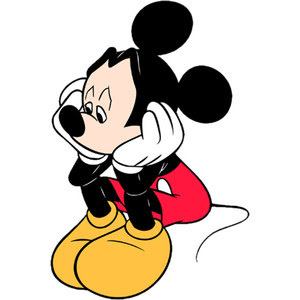 If you make your living from hotels, restaurants, transportation, retail stores, tour operations et cetera… good luck. Read more about it from Frommer. 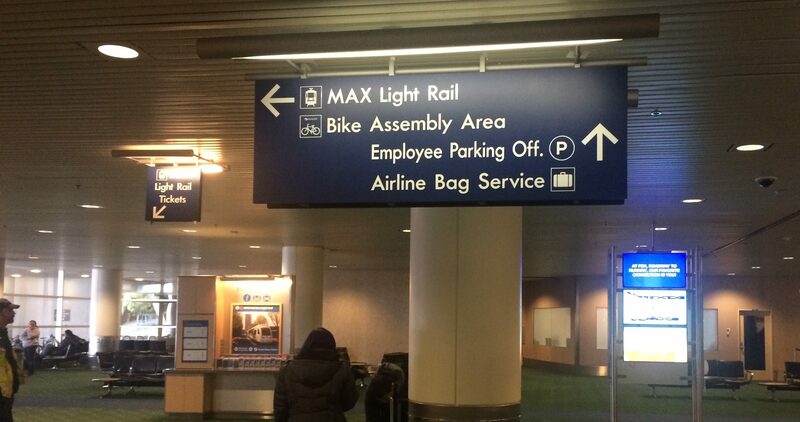 If you’re coming to Portland to participate in the World Naked Bike Ride this summer, you’ll be glad to know the PDX airport has set aside a place for you after you’ve claimed your bicycle. 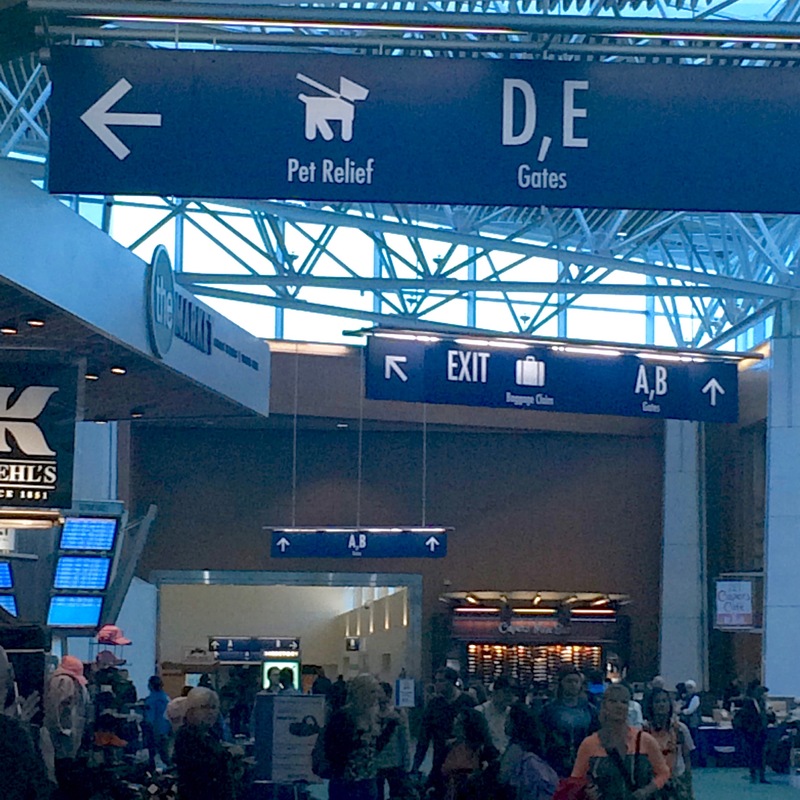 If you’re traveling with your pet, not to worry, there’s a special place for you, too. One afternoon in downtown Spokane, I came across a spectacle I had not seen before. 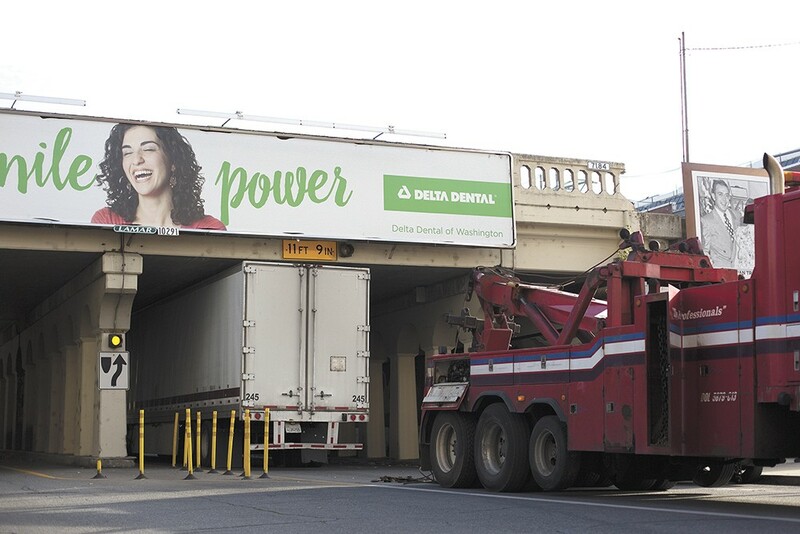 A truck was stopped in the middle of the street underneath a railroad viaduct. 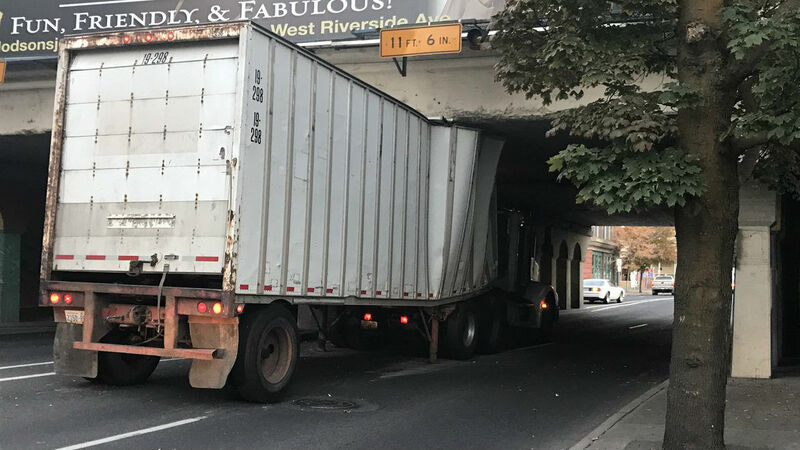 The box-van lorry was wedged tightly between the pavement and the underside of the train overpass. The driver was deflating tires in a frantic attempt to create enough clearance to get his vehicle out. I learned this was regular free entertainment for Spokanites. enough truck drivers who don’t read or don’t believe the yellow signs displaying the height, or don’t know how high their vehicles are, to keep the locals amused. Amused that is, except for other drivers caught up in the resultant traffic back ups. Click here to read about more fun infrastructure examples. Pre-licensing classes for insurance licenses invariably use this to illustrate the importance of doing business in an ethical manner. Providing insurance coverage for sizable projects typically involves multiple insurance companies. For example, General Insurance Company, was at risk for $1 million of the total risk. Afterwards, they ran advertisements with a picture of the check they wrote for the claim. Not so pleased was Merchants Fire Assurance Company, whose agent collected $70,000 premium and kept it, not telling the company he had issued a policy. After all, what could happen to a brand-new bridge. 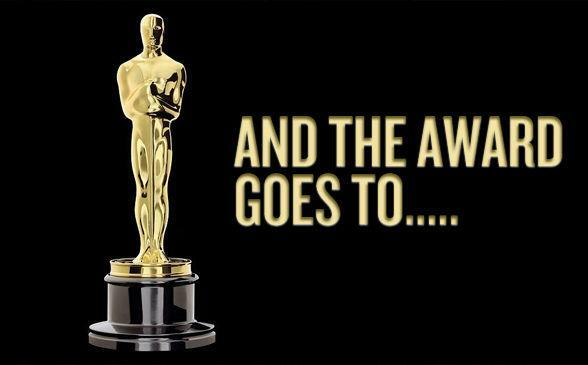 Merchants was surprised to learn they were on the hook for $800,000, their share of the loss.